Frances Humes, who has been fascinated with the Amazon since she was a small child playing the early computer game Amazon Trail, has spent four seasons working with Field Projects International at ACCA’s biological research station on theMadre de Dios River, a tributary of the Amazon. But Frances has not lost her wonder at the ecological diversity that surrounds her, whether it is the march of leaf-cutter aunts, the slow purpose of a tamandua, the playful batting of an ocelot or the reliable procession of white wing trumpeters. She began as a research assistant and later worked as a team leader and trapping supervisor, teaching groups of college students how to work in and respect the rain forest. 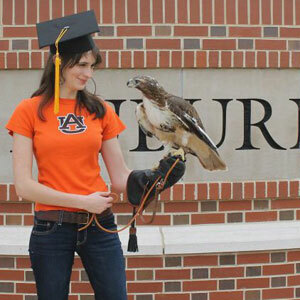 She graduated from Auburn University with a major in zoology and minor in Spanish. She has done graduate coursework and worked as a graduate teaching assistant and research assistant. In her spare time, she works with various wildlife rescue organizations.